For this month Eggless Backing we got an interesting challenge, need to thank Gayathri and Sowmya for choosing tiramisu. Instead of mascarpone cheese I have tried this with cream cheese. 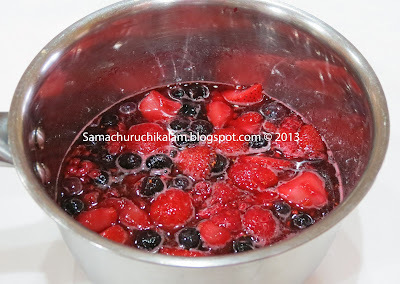 For soaking used berry sauce, came across this recipe from here. 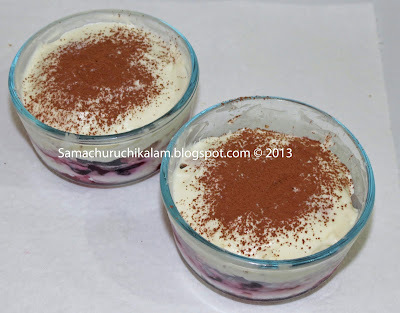 Since I used cake flour the biscuits turned very soft and almonds gave a crunchy feel for this berry Tiramisu. Mix all the ingredients and add ground nuts finally and mix until it blends well. Transfer the batter to piping bag with a ¾ inch round tip or cut the edge. Pipe the fingers about 3 inches long at one inch intervals on an ungreased cookie sheet. Bake in a preheated oven for 30 – 40 minutes or until slight brown at 300° F.
Allow it to cool for 5 minutes and transfer to airtight container until you need. Heat a sauce pan, add berries, lemon juice and brown sugar stir until brown sugar blends and dissolve. When it start to boil turn off the stove and allow it to cool. After it’s cooled, drain the sauce using a spoon. Warm it lightly. Mean time in a large bowl, add cream cheese, sugar and vanilla extract and mix well. Finally add whipped cream and mix gentle until it blends well. 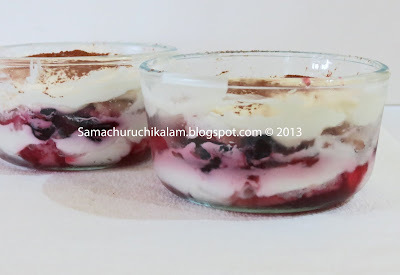 Soak the lady fingers in warm berry sauce and arrange in the dish, then top it with cream cheese mixture until its covered (like a thick coating), next top it with berry mixture. Repeat the process until you reach the top of the dish. Refrigerate for about 4 – 6 hours. After it sets cut and serve. looks divine,i love the use of berries . I am a proud homemaker and mom of twin toddler girls. Cooking for past six years, couple years before found my passions in cooking. Started to do researches when ever get a chance? Need to thank my family and friends for great support. This research will not end will try to post all my good recipes here. Thanks for visiting my blog feel free to drop your comments. It gives more encouragement and improves myself. 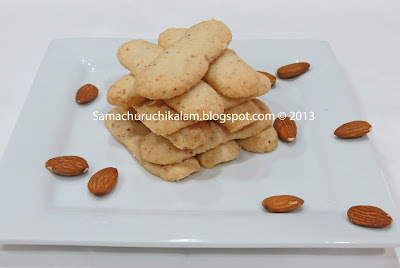 Samachuruchikalam.blogspot.com © 2013. Awesome Inc. theme. Powered by Blogger.